Ever hear of it? Me neither. 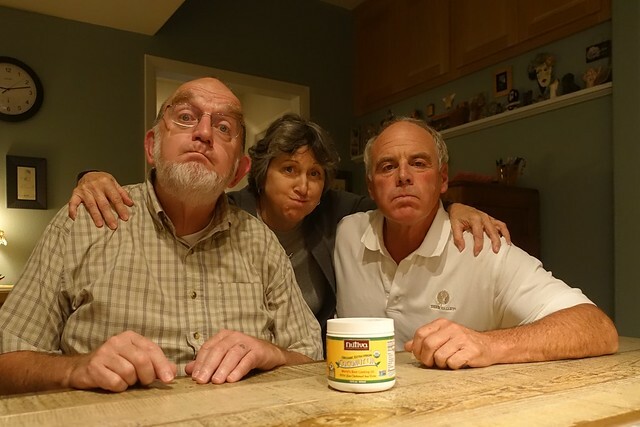 That we learned about oil pulling from brother DK (Margaret-Rose’s brother) while he was staying with us over the weekend could indicate we’d already covered all the other topics known to man. 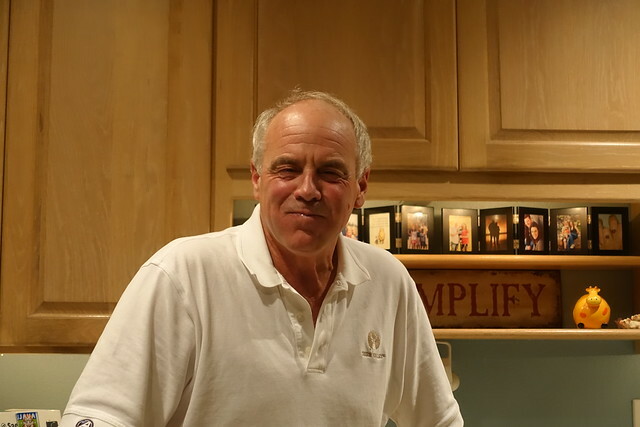 He told a story of passing his wife, Stacey, at an intersection in their cars one day, and when he started to pull over so they could talk, she pointed to her puffed cheeks to indicate she couldn’t talk to him. Well, he got it right away; he knew that she was oil pulling as she drove. Yes, it’s perfectly legal. What on earth is oil pulling? As DK started to explain, Mauri pulled out his nearest gadget to ask Google for more info. Before long I was pulling from the cabinet a jar of organic extra virgin coconut oil while Mauri doled out three tablespoons, one each. We were about to enjoy the fellowship of the oil pulling. DK had never tried it, so you get to witness a flinch/gag as the chunks of oil began to melt. Why would anyone choose to swish a tablespoon of coconut (or sesame) oil around in their mouth for 15 minutes? Good question. We learned it is a natural way to achieve and maintain oral health. The bacteria in your mouth feeds on fat; therefore the fat in the oil cleans your mouth. After 15 minutes of swishing you spit it out in the wastebasket (not the drain). We also learned how l-o-n-g 15 minutes can last. So I pulled over my computer and in our required silence we read more about oil pulling. Following the spittoon, water rinsing, and teeth brushing, we all agreed our mouths felt heavenly, better even than having just been to the dentist for a cleaning. OK, I’ve heard everything now! Based on the title to the post, I was expecting a post on the dangers of fracking or some such thing! I think in the past, hydrogen peroxide was the original “oil” used for this purpose! But coconut oil sounds like a much better alternative! I’ll give it a try!